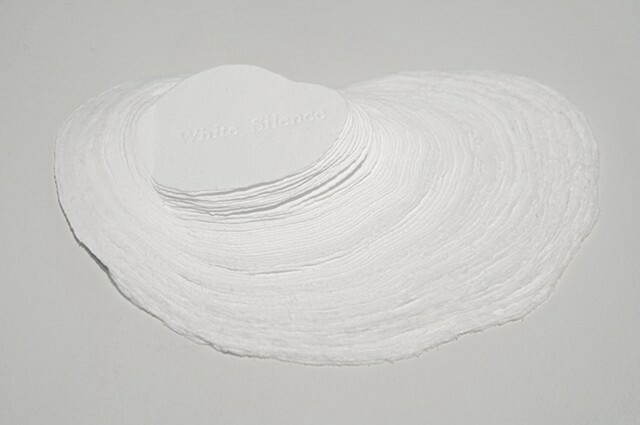 White Silence is a quiet book encapsulating time. It expresses a surreal passage of one white summer night in Norway, through a sequence of handmade papers. The narrative is created mainly by the subtle, tactile movement of pages. Time turns into the tangible through the book’s physicality.